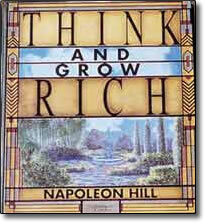 Think and Grow Rich – Audio by Napoleon Hill – Discount! Note: The CD edition contains segments featuring Napoleon Hill’s voice as he describes and teaches the principles in Think and Grow Rich. The MP3 download edition is the unabridged book read by a professional. Napoleon Hill cds are the best!